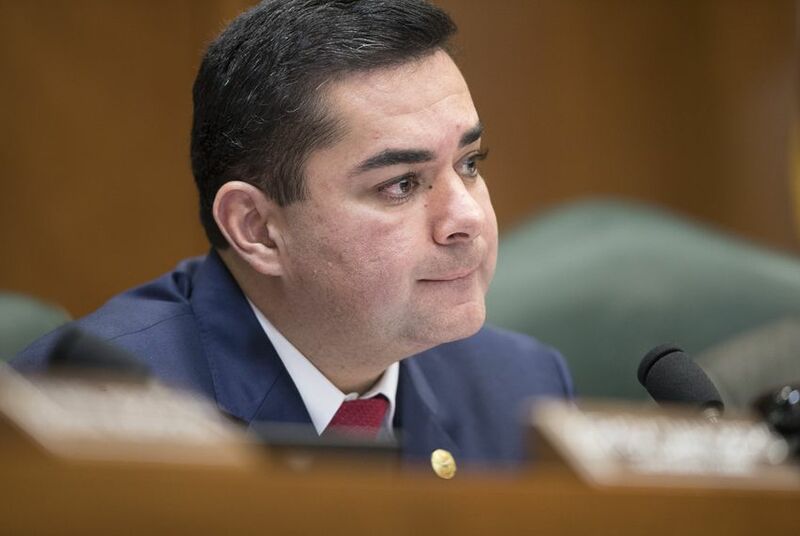 The Texas House Higher Education Committee on Wednesday opted to send forward a bill that would only make minor tweaks to a program that offers free tuition to veterans or one of their kids. The watered-down version of the proposal moves away from efforts to make wholesale changes to the state benefit known as Hazlewood. By a 7-0 vote, the committee approved a bill by Chairman J.M. Lozano, a Republican representative from Kingsville. The bill would require recipients of free tuition from Hazlewood to earn at least a 2.5 grade point average and take at least 24 credit hours per year. It would also require universities and state agencies to collect more information about who is receiving the benefit. But the bill doesn't include dramatic changes to who can qualify. The original version of House Bill 3766 would have required a veteran to serve four years before becoming eligible for the program. And the benefits would have expired after 15 years, making it impossible for many veterans to pass on their unused free credit hours to their children. Those original changes were proposed at the behest of university administrators who complained about the spiraling cost of the program. In 2009, the Legislature began allowing veterans to pass on their unused Hazlewood benefits to a kid. The original estimate was that it would eventually cost universities an additional $10 million per year in lost tuition revenue. By 2015, the program's total annual cost was $158 million — and growing. Most of those costs are incurred by the universities, and some school officials have said the program forces them to raise tuition for other students. Attempts to pare back those costs have faced fierce resistance from veterans groups and Democrats, however. After hearing feedback, Lozano opted to back off of the original plan. The current bill, he told the Tribune last week, is "written by veterans." That version is far less controversial. Committee members approved it with no real discussion Wednesday morning. "It is a very good day for bipartisanship," Lozano said after the bill was approved. Lozano made the decision to preserve the Hazlewood benefit after hearing from veterans inside and outside his district. The president of Texas A&M University - Kingsville, who is a veteran, has struggled with what to do with Hazlewood.